Some of the most lasting music in our culture isn’t made by lone composers at a piano, or singer-songwriters who just need to share how they feel, or garage bands with a dream. It comes from people given an assignment at their day job. “We need music for this. Make it happen.” Delia Derbyshire was one of them. So if you haven’t heard of Delia Derbyshire let’s get this out of the way: you probably at least know this piece. 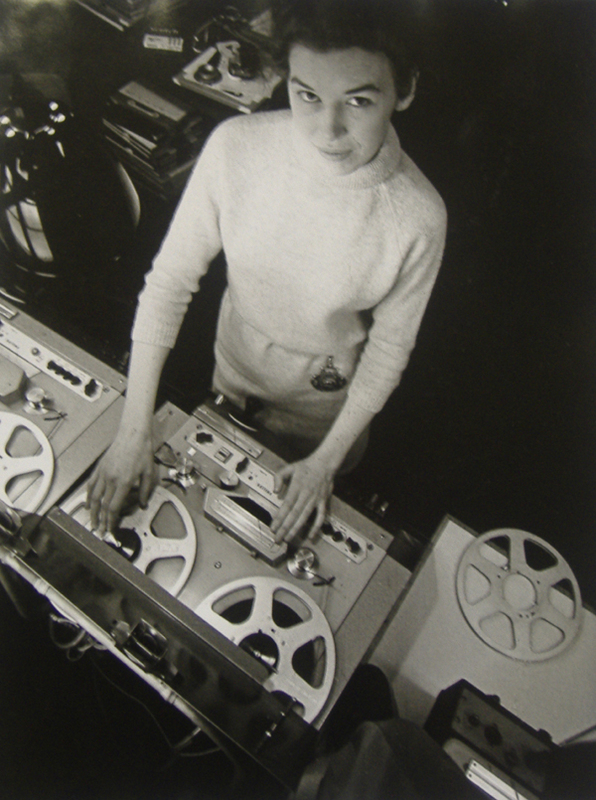 In the early 1960s Derbyshire worked at the BBC Radiophonic Workshop. A lot of the group’s job was creating themes, sounds, and background music for the BBC’s many radio and television programs, and Derbyshire specialized in science fiction programs and the out-there avant-garde. If you’re interested in electronic music, whether that’s art music like Stockhausen or modern techno (or house, EDM, what have you), listen to some of An Electric Storm, an album Derbyshire and compatriots recorded in 1968 under the name White Noise. This is as far-out as music got at the time; Frank Zappa or Terry Riley would have sat up and taken notice, and modern-day acts like Amon Tobin or Autechre could take a page from the deep, textured production. In many ways Derbyshire was at an advantage in the Radiophonic workshop, free to experiment (at least at first) as long as the work got done. She did eventually chafe at the restrictions the BBC placed on her work and went on to do other soundtrack work, recording with a shifting group of like-minded colleagues; check out 1972’s Electrosonic for an example. Sadly, it seems she just burned out not long afterward, retiring from music to work in bookshops and galleries. The burgeoning electronica scene of the 1990s rekindled Derbyshire’s interest, but she died aged 64, just poised on the brink of a comeback. It’s easy to not pay particular attention to the sounds on these albums; many pieces could be background to the Doctor and Sarah Jane sneaking around an unfamiliar space station or just a nervous Londoner wondering whether that person behind him is a KGB agent. But if you listen to this stuff it’s really rewarding; highly recommended for anyone interested in electronica.